There are so many ways you can support Good Hands Plainwell℠! Good Hands Plainwell℠ is a registered 501(c)(3) non-profit corporation, so all donations are tax deductible. Wondering how your donation will be used? During the 2017-2018 school year, an average of 187 children received a bag each week, with a total of 59,218 food items distributed in 6,563 food bags. Vo lunteer for our weekly food bag assembly. 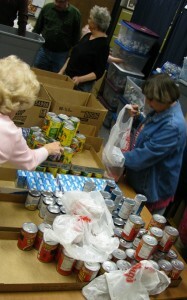 Donate your time as a volunteer to help us assemble the food bags! To volunteer for one of our weekly bag assembly gatherings, please call 269-615-5438 or send an email to Del@goodhandsplainwell.org. 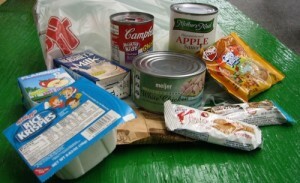 Do nate “wish list” items for our food bags. 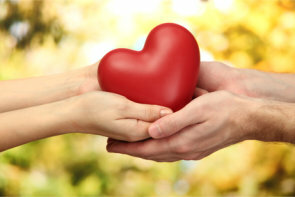 Thank you for helping Good Hands Plainwell℠ make a real difference in our community today!